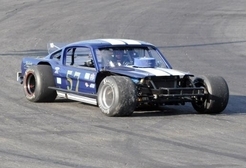 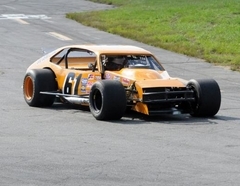 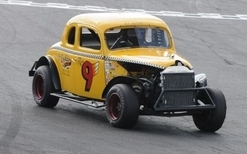 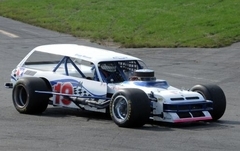 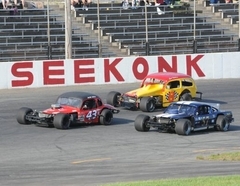 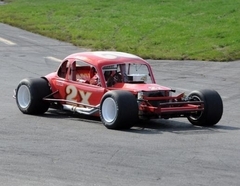 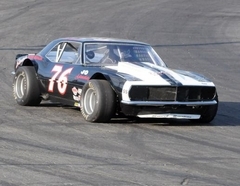 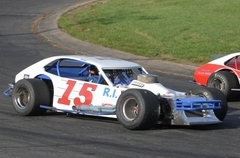 “Action Track of the East” Seekonk Speedway was the next stop for the Senior Tour Auto Racers on July 11th. 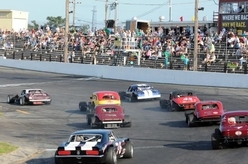 STAR filled the pits with 23 cars on tap. 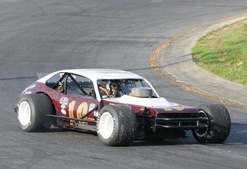 STAR was out for an action pack night! 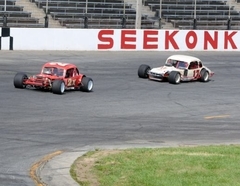 For quite a few STAR members this is their home track and once again they were going to hit the asphalt of Seekonk. 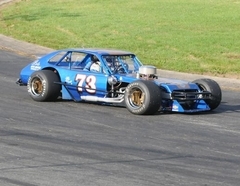 STAR started their day with warm ups and the evening show would bring the STAR group 2 heats and 2 features. 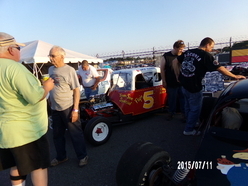 It was great to see so many drivers, car owners and fans from the past and present stop by and say hello and talk with the members. 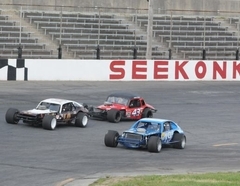 The first to go out were the sportsmen division for their 10 lap heat. 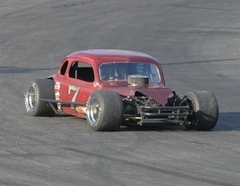 What a heat this was! 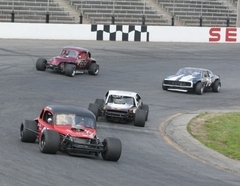 The Sportsmen gave it all they had, switching spots from lap to lap. 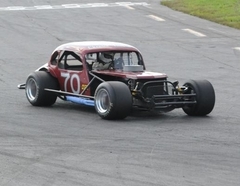 Just who was going to cross the line first? 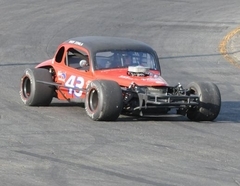 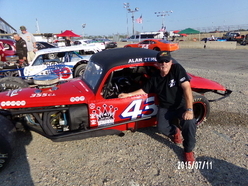 Side by side Alan Zemla from Me in his #43 coupe and John Mulcahy from Ma in his #57 Mustang drove for the win. 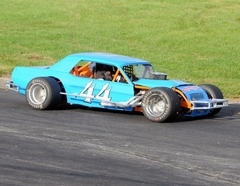 When the checkered came down it was on Alan Zemla in the #43 for the first victory for the evening. 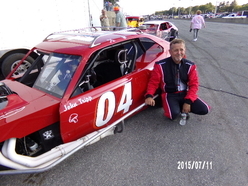 John Mulcahy in the #57 pulled off a second and to top off the pack with a very close third was Tammy Barboza from Ma in her #10 Pinto. 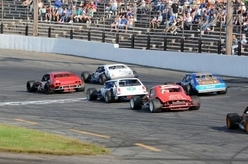 The modifieds were in the pits ready to come out for their 10 lap heat. 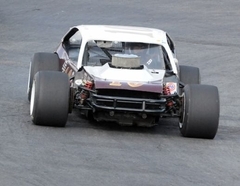 Watching from the press tower I knew as soon as they came out of the tunnel it was going to be quite a race. 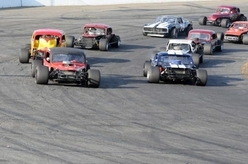 One by one they entered the track and the headers gave that sound you no longer hear. 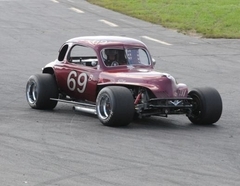 Something about these open wheel vintage cars, they have a sound of their own! 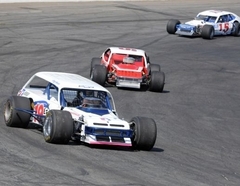 Tight to the pack and inches apart these STAR modified drivers drove just like the modified use to back in the days. 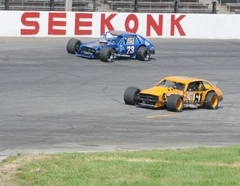 When the checkered came down it was on Mike Ronhock from Ma in his #04 Pinto a tribute car to Seekonk legend John Tripp. 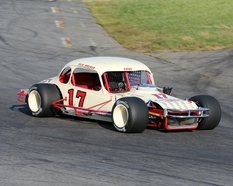 Chip Grassie Jr. from Ma in his #15 Pinto pulled off a second with Scott Poirier from Ct in his #73 Pinto to finish off the pack with a third. 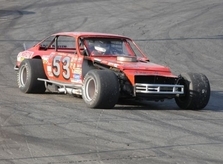 Later in the evening STAR was on tap for two 15 lap features. 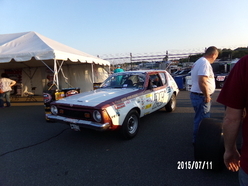 First the Sportsmen rolled out onto the track. 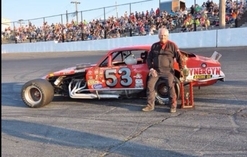 Steve Zukowski from Ct in his original #53 Vega, original built and ran by Steve showed the sportsmen how it was done by taking down the feature win for the Sportsmen. 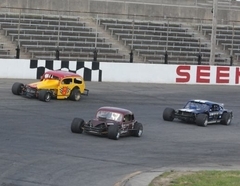 Robert Harless from NY in his #8 sedan and Tammy Barboza from Ma in her #10 Pinto battled for second lap after lap, with Harless to finish off with a second and Barboza taking a third. 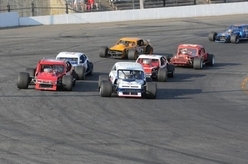 Now it was time for the modifieds to come out for their 15-lap feature. 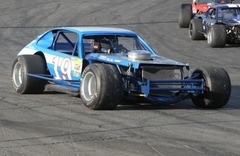 Lap after lap these modifieds drove bumper to bumper until Charlie Wilcox from Ct in his #19 Pinto took over first place. 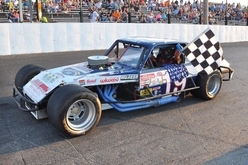 When the checkered came down it was on Wilcox to pick up the last checkered for the tour. 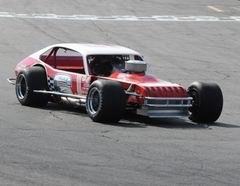 Now it was a battle between Darryl Dutch from RI in the #6 Pinto and Scott Poirier from Ct in the #73 Pinto as who would finish second. 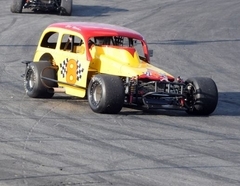 As the checked waved it was on Poirier to pick up the second and finishing off the pack with a third was Dutch.